Santa’s Snack II, originally uploaded by Eric Jeschke. Everything is clearly labeled. For Santa: Bunny Grahams and milk. 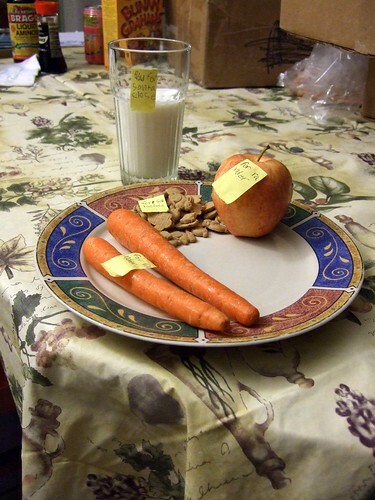 For the reindeer: carrots and an apple.